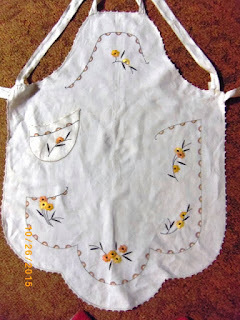 Patra's Embroidered Aprons: Two more aprons. 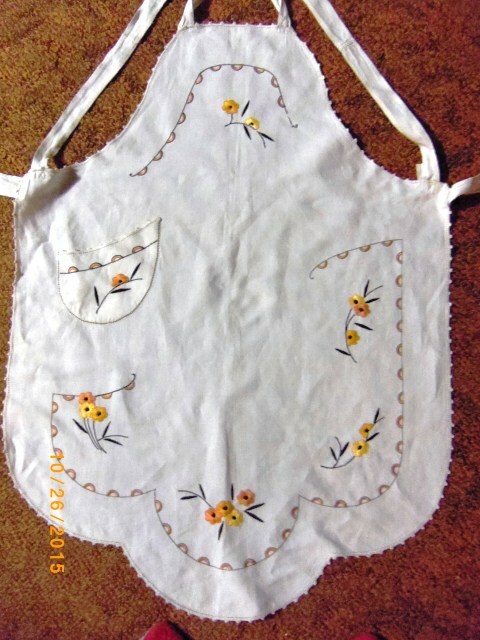 I haven't found any aprons for my collection in a long time, so I was delighted to find these today at a local antique market nearby. I haven't visited this place for a few years, so maybe I should go there more often! Beautiful stitching. So fine it looks like machine stitched, but it isn't. 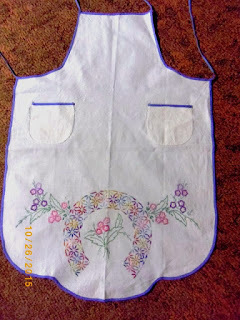 Beautiful aprons, Gina. 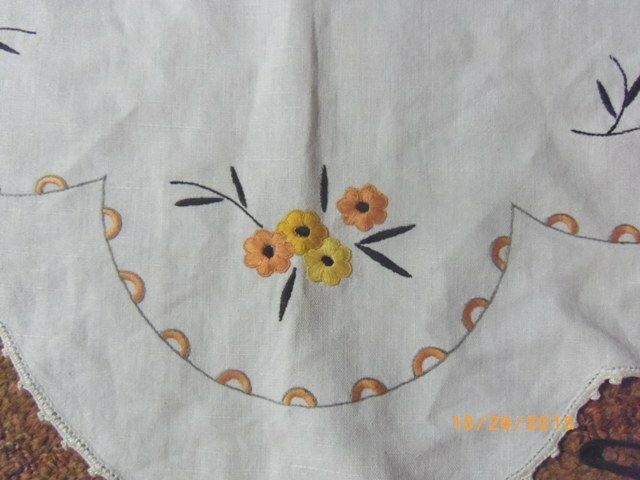 My favourite is the first one.